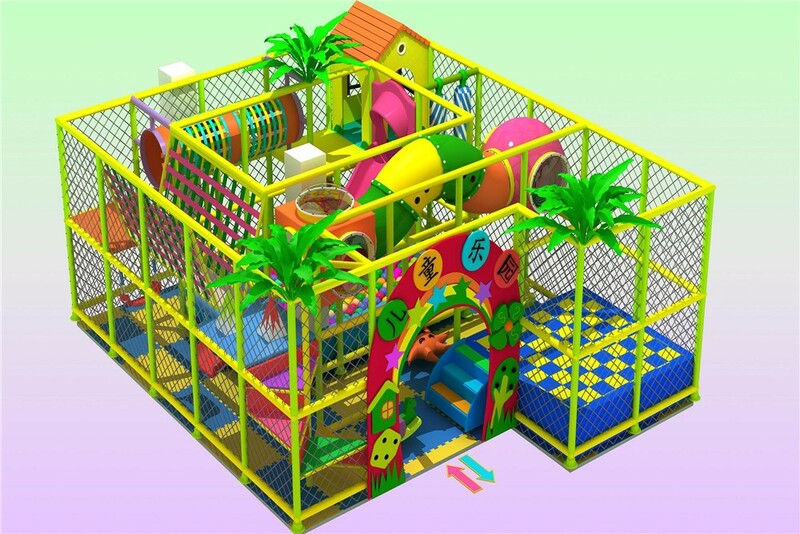 This two level Indoor Toddler Activities on irregularity shape, have a kids trampoline, a single slide from second level to the ball pit, the passageway on second floor are a circle with kids house, net tunnel, single plank bridge, plastic tunnel across the gate, then a single slide to the ball pit, on first level have two swings and other small toys. Should Indoor Jungle Gym Keep kids Informed with Nationwide News Like G20 Summit? Recently, almost everyone in our country paid great attention to the world known event G20 Summit. Under the theme of "toward an innovative, invigorated, interjected and inclusive world economy," this year's G20 Summit is held from September 4-5 in Hangzhou. The Summit not only matters to countries all over the world, but benefit their citizens. As a part of the country, is there a necessity to keep them informed with such an event? Can indoor jungle gym take the responsibility to pass the information to kids in a natural and funny way? Is there any possibility that indoor playground acts as both a playground as well as a news broadcaster for kids? If it does, what benefit will children get? Let's have a talk about it. First thing first, living in this changing world, it has turned to be more natural for kids to accept news from the outside through TVs, internet, as well as ads. Kids nowadays are much smarter those who were born decades ago because they've got a number of access to learn things around their life. Keep kids informed with the recent news is also a significant way to broad their mind and expand their thought. It will make it easy for them to do well in the subject of history and Chinese because they are well-learned about knowledge of different fields since they are young. Therefore, if indoor jungle gym can have kids informed of news in a funny way, it is actually paving the way for children's further learning. What's more, it is from the news that kids can have a thorough understanding about what the outside world is like. We all know that a lot of things written in text books are distorted, they are not the real reflection of the natural world and the society. When I was a kid, I used to do bad in history and no matter how hard I tried to learn, I still cannot remember the events that the teachers wanted us to keep in mind, know I probably know the reason: we've divided ourselves from the history. As a living creature with limited life in this planet, everything we do was also history. So is the news happens in our daily life. Hence, the function that indoor playground plays at informing kids with recent news are indispensable for the learning of history. In conclusion, the role that indoor jungle gym can play in children's life can be far from a playground for games and fun, it can also be a good director that helps to guide them about how to learn.